August 19th marked the end of American combat operations in Iraq. 50,000 troops remain in that country and an increasing number are being deployed to Afghanistan, where the American troop presence is expected to reach 100,000 by the end of summer. Many of our soldiers have served multiple tours of duty, some in both countries. The wars in Iraq and Afghanistan have been notable for the remarkable survival rate among wounded soldiers. The advances in trauma care have made injuries meaning certain death in previous conflicts treatable. However, many of these soldiers are returning to civilian life with physical, mental, and emotional health issues never seen before on such a grand scale: multiple prostheses, TBI (traumatic brain injury), and PTSD (post traumatic stress disorder). 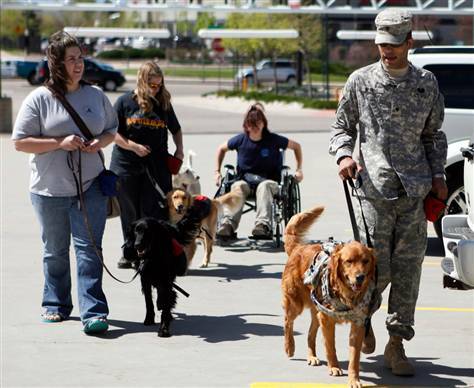 Service dogs are now being trained specifically for the wounded war veteran population. 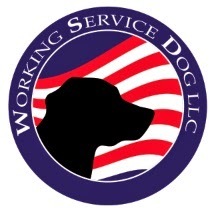 In our next post, we will look into some of the specialized skills that these dogs are learning.